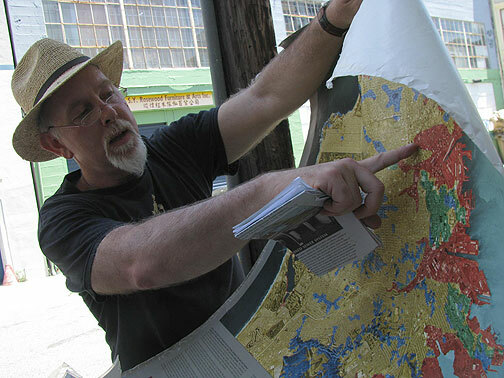 John Ross, longtime correspondent from Mexico, even a longer time activist and radical from San Francisco, was honored with a “John Ross Day” declaration on May 12, which also happened to be the 25th anniversary of the End of the World’s Fair! Here’s John reading his refusal to honored by a city that has become a Sanctuary City for the Rich! 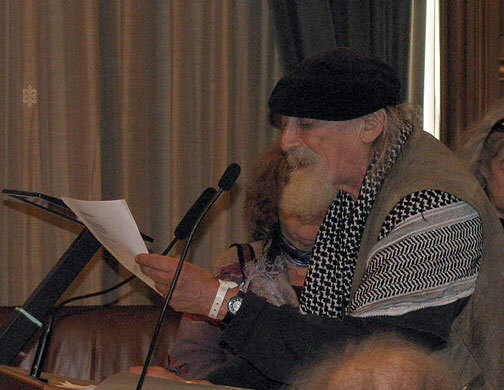 John Ross at podium addressing San Francisco Board of Supervisors, refusing his "day". “Instead of drawing up hollow proclamations “honoring” derelict beat poets”¦the Board of Supervisors would do well to honor the poor and working class citizens of this city who struggle to survive in this lap of luxury by making San Francisco a place where they can still live.” Â Hours later, the City’s supervisors endorsed a fare hike that will prohibit the poor and working class citizens of San Francisco from using public transportation. 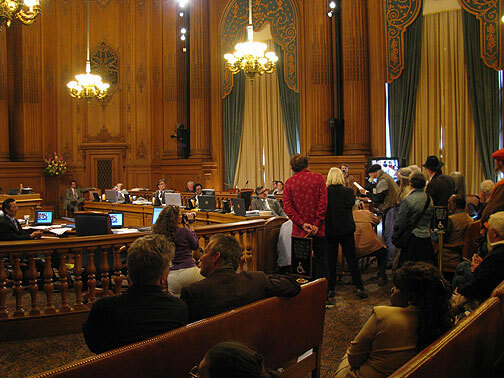 While many of the City’s 11 supervisors squirmed in their extravagant leather seats, Ross, who once ran for the Board on a “Rent Control, Out Of Vietnam” ticket, blasted local politicos for green lighting greedy landlords to bleed their tenants dry, pushing the poor into the streets, and treating the homeless like so many cockroaches. 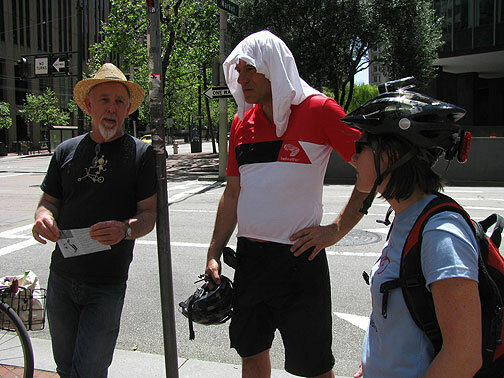 Â “How can I accept an honor from a city where police run riot in neighborhoods of color?” asked Ross, who was recently assaulted by cops in the City’s La Mision barrio, accusing City Hall of cloaking itself in “rampant hypocrisy and the fake green of filthy lucre” as San Francisco Mime Troupe founder Ronny Davis tootled “The International” on his flute. John Ross reading his statement. For myself, I’ve been busy with a series of really good Talks at CounterPULSE. We’ve got most of them online now, and I particularly recommend checking out the Talks on April 22 (Global Commons/Global Enclosures), April 29 (Transition City: Permacultural Transformation), and May 13 (Are Green Jobs Different? Can Capitalism “Go Green”?). 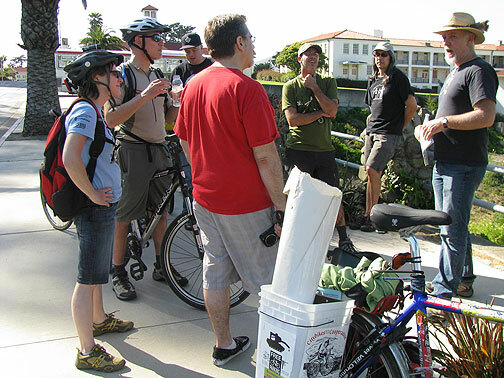 I also got to do another Bike History Tour on the Ecological History of the city, covering the north side ending at the Presidio’s Tennessee Hollow. A new friend Marina Marisonis from Barcelona took these photos while we went. Showing the edge of the marsh that underlies Mission near 7th. 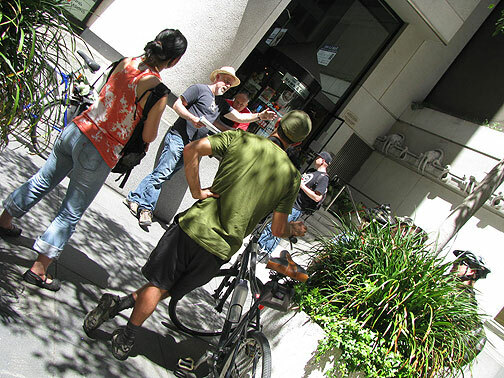 Slagging PG&E and telling the Raker Act story at the old shoreline at Battery and Market. Come on this tour to learn about the history of these granite walruses! Last stop at Tennessee Hollow in the Presidio.